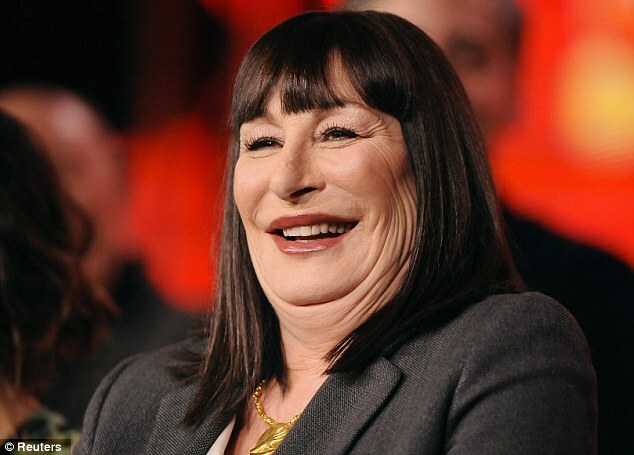 Anjelica Huston has been revealed as the latest celebrity pillow face victim, after displaying her suspiciously plump cheeks. 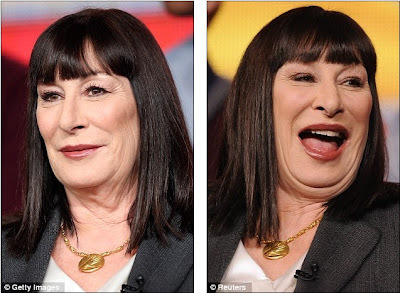 The 61-year-old actress showed off her new look as she took part in a panel to promote the second series of her hit show Smash in Pasadena, California, on Sunday. And Anjelica's incredibly smooth face had another unwanted affect as it highlighted the creped skin on her neck. The raven-haired actress is no stranger to taking extreme measures in a bid to maintain her youthful appearance, and admitted previously to having collagen injections to smooth things out. 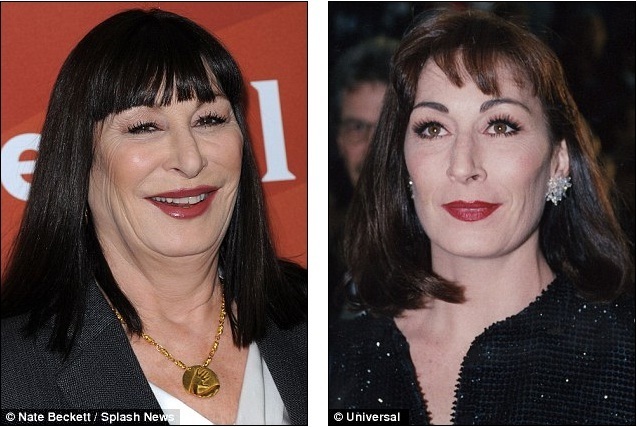 However, Anjelica also admitted she had been put off some surgical procedures after a Botox experiment went wrong. She explained: 'I went to a doctor who said, "Angelica, we have this wonderful new thing, it's called Botox". 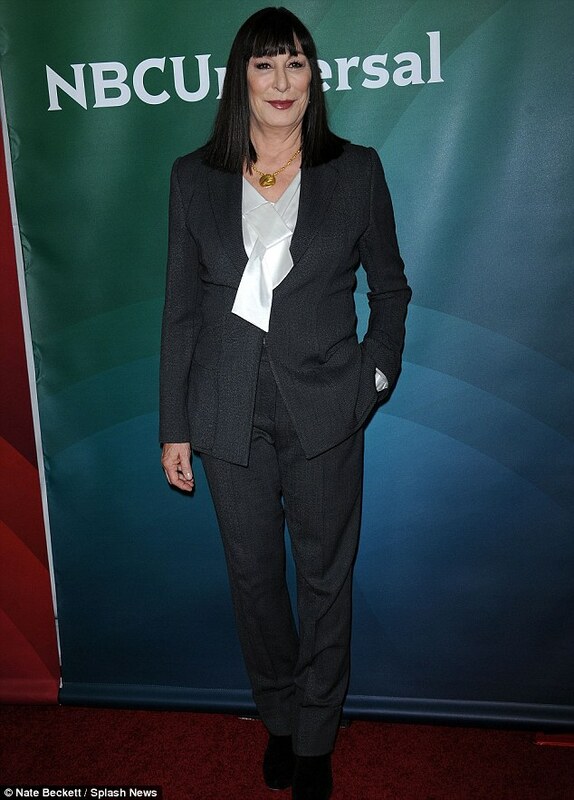 Anjelica's new appearance was revealed as she took part in a Smash panel ahead of the premiere of the second season on February 5th, alongside co-stars Megan Hilty and Katharine McPhee. And the programme's new showrunner Josh Safran promised viewers that the upcoming series is sure to be as exciting as the first - with a few new twists. He said: 'The stuff that you love from last year is still there, and the stuff that people thought maybe went off on tangents, we've looked at. Maybe bigger, more music. Maybe younger, in regards to the new castmembers.